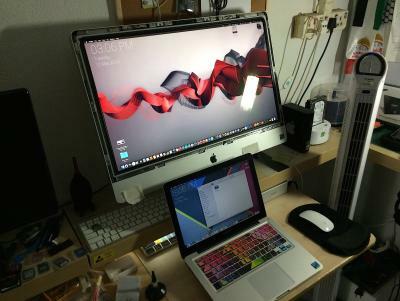 Hi guys, just wanna share an upgrade of my iMac 27" mid-2011. 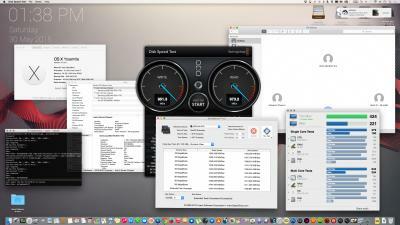 I have been following a thread from MacRumors for quite sometimes and recently I have managed to upgrade my iMac's stock GPU (HD6770M) to GTX780M and I am proud with it. I bought the MXM card thru eBay from chooseyourdestiny2012 (for Alienware / Dell ) with versions id of 119F. The surgery went well. 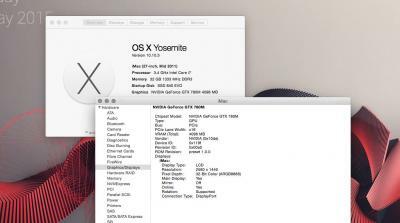 After assembly with just one push on the power button the iMac did lost it's initial boot screen but quickly enters Yosemite without any delays. Oh yes I did sets up the screen sharing before the surgery just in case. 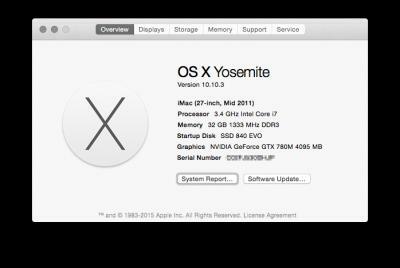 My previous upgrades was the CPU (from i5 to i7), dual SSD with RAID0 setup and an AirPort Wifi AC upgrade (for Handoff & Continuity). Haha, good upgrade bro. How much you bought it? Any advantages after the upgrade? I bought it for USD380 including import duties etc. After upgrade the GPU performance boost almost 5x faster than my previous GPU (the Radeon HD6770M). Almost no lag or glitch in my UI desktop at all. Smooth graphics all the way. 4. the VGA heatsink from HD6770M are too small and does not cover for the GDDR5 memory, I have improvise a mod for the memory heatsink. Hmm... that is not a bad deal. But, for your information. GTX 780m support legacy and UEFI boot. Many GTX 780m user using Windows 8 UEFI as well. I had some troubles with my UI from my previous HD6770M and I had to reduce some fancies and transparencies just to have a smooth UI. This upgrade does a lot of improvement. I had some minor changes and Mods for the on-card memories and the internal air flow ducting, installs a few copper heat pads on it. 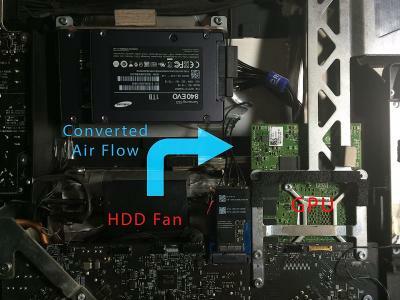 Now I have no temperature issue at all especially during video rendering and heavy graphics apps. 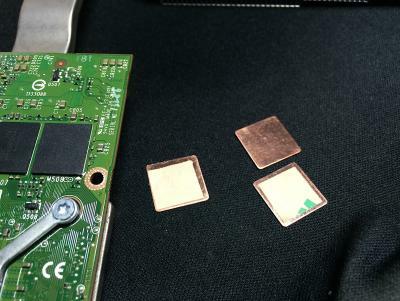 Is that 3m double sided tape behind the copper shim? 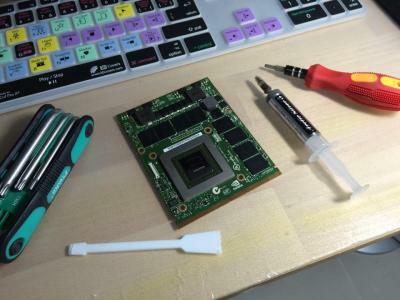 If yes, I recommend you to change it with thermal pad or thermal compound. 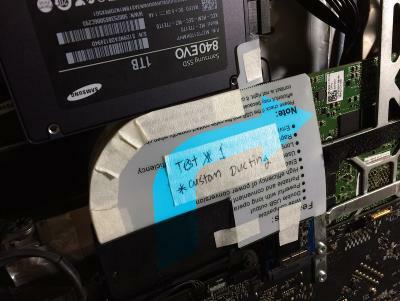 Double sided tape is not a good conductive material. Something like what I did previously. And your copper is not contact on the X bracket at all. 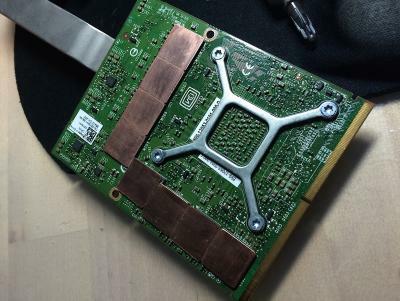 Look at my X Bracket on the GTX 870m in photo below. But is ok, is not a big deal actually. If can, use IC Diamond or GC Extreme, I used Aritc Silver before, I don't think is a very good thermal compound. Is just moderate level. IC Diamdond and GC Extream is a pro-class thermal compound. I use it for my every customer's upgrade due to most of my customer is heavy gamer and it usually used up 90% to 100% of the GPU power for gaming in long hours. It's actually 3M double sided thermal adhesive tape. I do have the original X bracket but it cannot be use due some iMac's limitation. 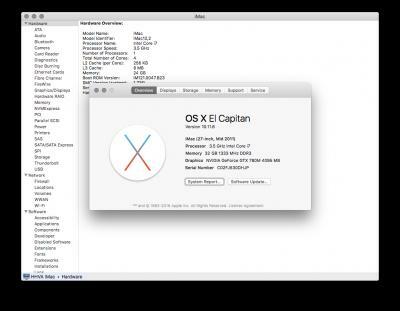 As you can see (from my photos) iMac has it's own X bracket specifically for it's installation. 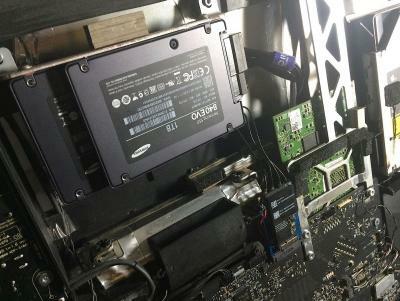 Moreover, I had to used 3M Thermal Adhesive Tape due to its' small space between the MXM holder and the MXM card. I have googled the reviews of the IC Diamond & GC Extreme, looks like a very good choice. Thanks e_mc_square for sharing the info. What can I say. Apple really don't want ppl messing around with their stuff. Haha... well, this is how they make money. Do you mind I take your picture and share it in my page? 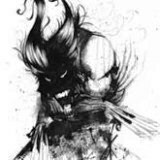 I will credit your thread link and your name. Just wanna let you guys know my latest upgrade from i7-2600 to i7-2700K, resulting a 15% speed bump! 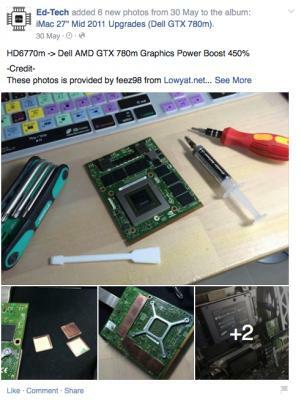 Just saw your iMac upgrade for GTX 780m. 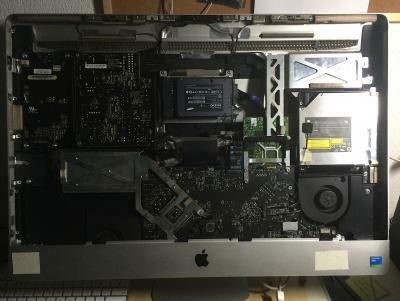 My imac 2011 27" graphic card HD 6970m seems to have problem now. It shows Pink lines when booting up and stuck. I was told that I'll be charge RM 2,9xx for fixing it. Until I start doing some research and found your thread. I also found cheap GTX 780m and also HD 6970m Graphic cards in Taobao. 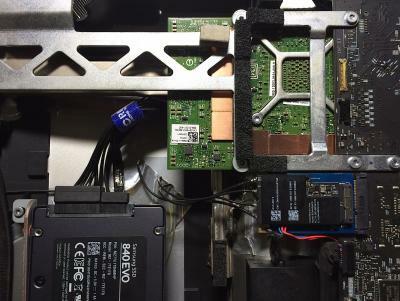 Do you mind if I ask you any question during my quest of fixing my own iMac?